Packing for a backpacking trip can be difficult. It’s always a struggle to try to remember everything that you need and if you’re like me, you’re usually left with the worry that you might have forgotten something. I’ve even made it out to the trailhead and discovered that I’m missing something important, like my sunglasses. I have sensitive eyes so sunglasses are very important to me! But not to worry! I wrote up this quick 3 day backpacking checklist so you don’t forget any of the essential stuff again. This list is meant to be a general resource and is tailored to the weekend warrior. However, it can be adapted to fit your individual needs. Use it for longer trips and simply add any extra items you may need. Adjust the clothing according to your trip conditions. I’m sure you’ve heard the phrase ‘pack it in, pack it out.’ Please don’t forget it. Everything on this list that you take on your trip, you must also pack back out. That includes used toilet paper. I’ve seen too many signs of lazy backpackers who have left their used toilet paper poorly buried or even simply under a bush or just plain, carelessly left on the trail. This is bad manners and quite frankly disgusting. You may think that burying toilet paper is sufficient, but that technique was one for an older age. There are now so many people who frequent the backcountry, especially in popular areas like the American Southwest, that burying TP doesn’t cut it, there would just be too much of it. Just pack it out in your Ziploc bag instead. Be aware of small things like candy wrappers and other micro trash. Nobody wants to see that stuff on their adventure. Let’s try hard to keep our wilderness as pristine as can be. Let me know if you have any questions and I would be more than happy to help you out. Is there anything else you would personally add to this list? Leave a comment below. And please check out the following articles for more in-depth information about specific list items. *all items with one asterisk can be shared amongst the group if you are backpacking with friends. Just what I needed. We are going away on a short trip over the weekend to a nearby town that has really nice mountain views. There’s a dedicated campsite so I am guessing it would be pretty convenient. Just hope it’s not too crowded. Speaking of pocket knife, what brand would you recommend? I am looking for something that is multipurpose and hardy. Thanks for reading! I’m not a huge fan of any specific multi-tool brand. For cutting blades I tend to prefer a fixed blade knife as they are more durable. But I do acknowledge the appeal of a knife that can do more than one thing. I would say to go with something that you know won’t break super easily. Gerber brand knives have a good reputation as well as good ol’ leatherman. Great post here. I like the way you offered a way to go camping or hiking without taking the whole house with you. I agree with your concern over trash and hygiene material left out in the outdoors. I think it’s disrespectful to the earth and others. I’m glad you addressed that. What type of backpack would you suggest? And what about frame or frameless? I had my share of hauling backpacks in the Marine Corps but it would be awesome to backpack some of these NC mountains and woods. Right now I just fish a lot. Well written and informative! Thanks for reading! I’m glad you liked it. If you’re just getting into backpacking I recommend not buying a pack that’s super expensive. I have a $50 55 liter pack that does just fine for weekend trips. Internal frame packs are the way to go. The majority of backpacking packs have the frames built right in nowadays. I have plans to write a post soon about specific pack models, so stay tuned for that! You might also want to click here to read an article with more money-saving tips for those who are just getting started. 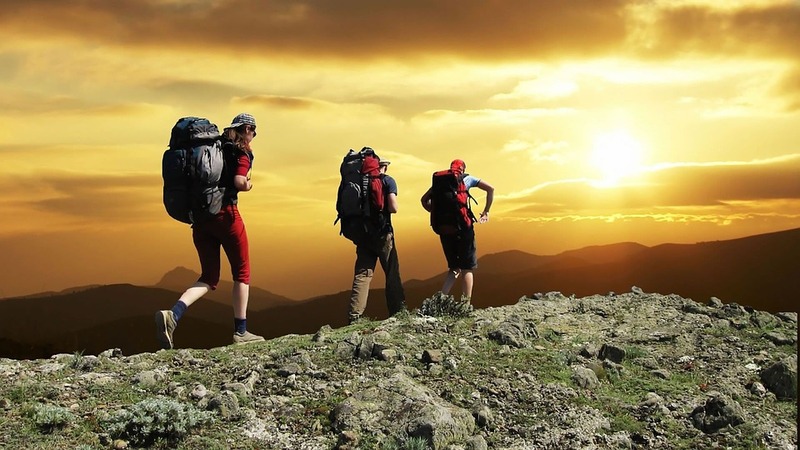 Backpacking sounds like a great way to get away. This is a good list of what to take with you. I have never been backpacking and would not know where to start. This has given me a good idea of what is needed to bring with you on a backpacking adventure. I would also really need my sunglasses. I have never thought of going to the bathroom while out backpacking. That would be very gross to see used TP. Thanks for reading! If you want to get into backpacking I hope you will read some of the other articles on my site. There are a lot of resources for beginners and much of it will be useful to day hikers as well as overnight hikers. Your site and article interested me because while my wife and I are avid hikers, we have never backpacked. The Checklist you gave tells me I would have to have a much better backpack than what we have, yet makes perfect sense. We have some good friends who have hiked Glacier National park, and others plus even Banff, and this list sounds like everything they mentioned. So I guess I will have to read more, and stay hiking for now. Either way we enjoy the great outdoors. I’m glad you enjoy the outdoors in your own way. No pressure to start backpacking, but if you decide you do want to get into it I hope you will check out the many other articles on my site. There is a lot of useful information and much of it will apply to day hikers as weill. These are some good guidelines for camping. i would be comfortable for a few days, using your 3 day backpacking checklist. The thing about packing it out is so true! I have already seen exactly what you talk about! Very messy to see used TP. however, if others are like me. I am not an avid camper, and I just recently learned about how TP takes so much longer to decompose! I never knew. Now, I may be mistaken, but you can buy a special TP that decomposes quickly. It may be sold at specialty camping stores. If not, then packing it out or using a dumping station is a must! Now, just wondering, if I included everything on your checklist, what approximate weight would I be carrying in? Thanks Mariah, this site is great for camping know how, I will be back! I haven’t yet heard about quick decomposing TP, but I suppose that could be an option. Honestly though I would still advocate for packing it out. It really doesn’t weigh very much at all, or take up much space. I think it’s all around just a better option especially because then you don’t have to spend extra money on special TP. That’s a great question about weight. It depends a lot on how much your own individual gear weighs, whether you are splitting up the group items among backpacking partners, and what kind and how much food you bring. But I have used more or less this exact list in a group of 2 other friends and my pack weighed around 28 pounds. Which is an excellent weight for a non-ultralite weekend trip. A very good advice column. Other than the practical stuff advised for packing, I was appreciative also of the etiquette note. 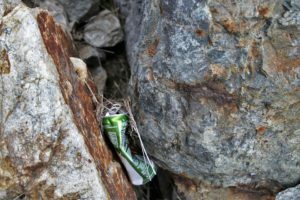 We have a lot of beautiful spots around the world but one thing that always irked me was seeing an empty packet of chips or cocacola can or lemonade plastic bottle poking out of an otherwise pristine spot. I feel resentful of those who had enjoyed a pristine spot and then left it littered for others who came after. So I was heartened to see the ziploc bags and sacks in your list! It is quite sad to see litter in an otherwise beautiful environment. Thanks for reading and commenting Cath! Hi Mariah – I found this article very interesting and informative. I also enjoy hiking and backpacking, although it’s been quite awhile since I’ve been. The checklist you provided is a great resource and should be very helpful for other people. Especially coming from some that has a lot of experience as yourself. Your checklist is a fantastic and comprehensive resource! Especially for a novice like me. This is a great guide to make sure that I don’t forget anything important. Thanks for doing all the hard work for me! With my long hair, I’d be adding a hairbrush and hair ties to my list. Hair ties are a great addition! I usually have one around my wrist so I never have to worry about forgetting them. A hairbrush is useful as as well. I would try to bring the smallest possible hairbrush you can manage to save room and weight if you are backpacking. I like this list! I’ve also found toothpaste tablets that fizz and you can brush your teeth with them! Don’t forget a first aid kit. Just make sure it’s not filled with a useless amount of bandaids. Some alcohol wipes, bandage, and aspirin are most likely to be used in case you’re not seriously injured. Great points! I like the toothpaste tip. A first aid kit is definitely important and it is one of the 10 essentials that everyone should bring.